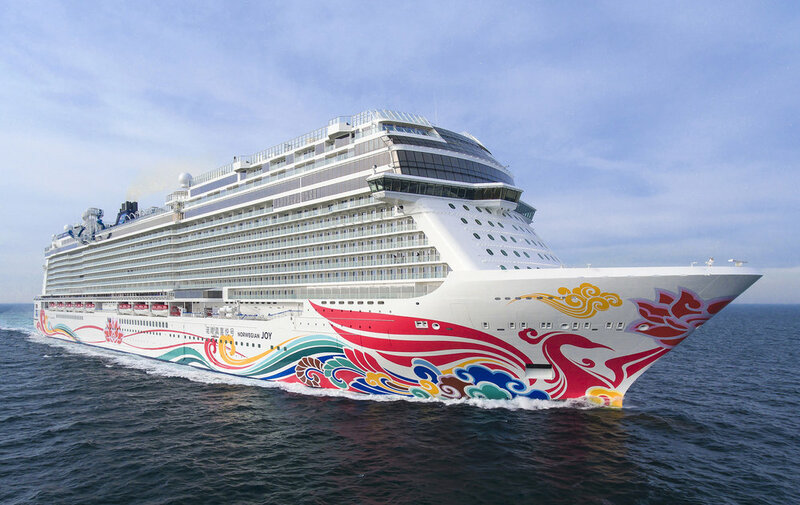 Middleton, WI – This summer, Norwegian Cruise Line welcomed the spectacular Norwegian Joy to its fleet. A custom-built ship for the Chinese cruise market, Joy offers a luxurious experience for up to 3,850 guests. The ship features the first racetrack at sea; multiple bars, restaurants and casinos; a shopping center; a waterpark; and a theater. To help set the right mood for the ship’s many and varied attractions, the vessel is equipped with multiple lighting control desks and an array of lighting fixtures from ETC. At 185,000 tons and 1,069 feet long, Joy is one of the largest cruise ships ever built, and was constructed by major German shipbuilder Meyer Werft in Papenburg, Germany. AV systems integrator Wärtsilä Funa Solutions was appointed to deliver the entertainment systems for the ship’s numerous attractions. The Funa team specified a total of 10 ETC lighting control consoles, positioned in strategic locations throughout the cruise ship. Sarah Wegner, a freelance lighting programmer and event technology specialist, was entrusted with the installation, setup and programming of the desks. Reliability was the overriding factor in determining the choice of consoles. "It’s essential that the consoles function reliably, since it’s not possible to get a replacement when the ship is on the high seas,” explains Wegner. “There is a mobile Ion, which could be exchanged in an emergency, but otherwise you have to wait until you’re back on dry land." In the ship’s theater, which provides an experience to rival venues on the mainland, an ETC Eos® RPU is used for primary lighting control, with a Gio® console as backup. Ion® and Gio consoles are dotted around the ship for lighting control for a wide range of the other onboard attractions. The requirements are quite diverse: the Supper Club restaurant offers an intimate theater experience; the Spice H2O bar takes inspiration from summer beach parties; there’s an aqua park with waterslides; a small atrium stage; and an outdoor disco. An ETC lighting control desk is also used in the Galaxy Pavilion, which transports visitors into a virtual entertainment world featuring thrilling interactive experiences, including racing simulators and a virtual roller coaster. Additionally, the Galaxy Pavilion, Supper Club and atrium are equipped with a selection of ColorSource® Spot and PAR luminaires. These four-color LED fixtures are capable of supplying bright, colorful light that can be tailored to suit the distinct needs of the different venues. And, it’s not just the cruise passengers benefitting from ETC technology on Norwegian Joy. Behind the scenes, in the crew disco, Wegner has programmed an Ion console with a selection of different cues, comfortably retrievable by the crew from the server.